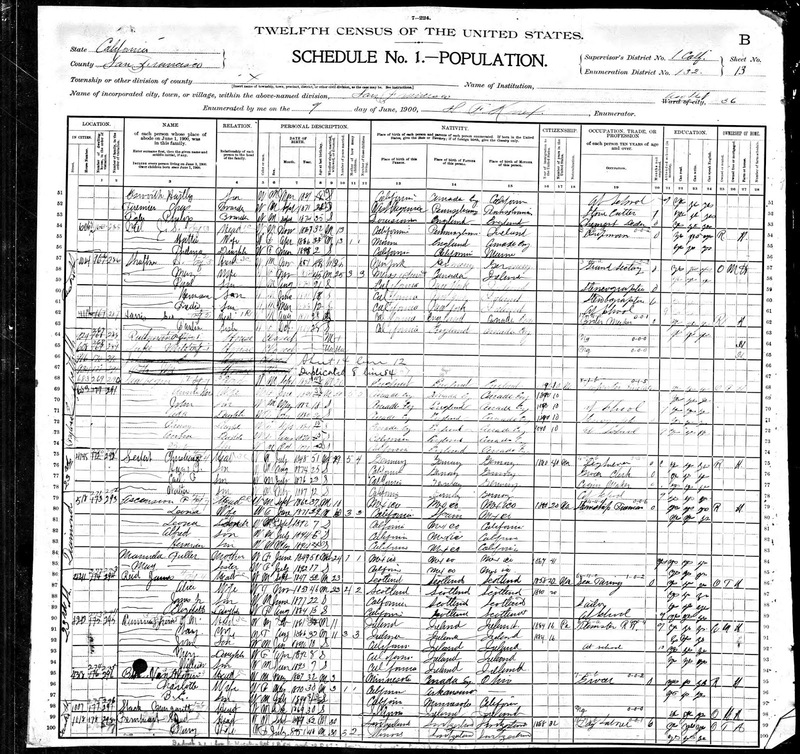 Genea-Musings: Treasure Chest Tuesday - 1900 U.S. Census Record for H. Shaftner Household in San Francisco, Calif.
Treasure Chest Tuesday - 1900 U.S. Census Record for H. Shaftner Household in San Francisco, Calif.
* H. Shaftner - head, white, male, born Nov 1851, age 48, married, for 25 years, born New York, parents born Germany/Germany, Grand Secretary, can speak English, can read and write, owns home with a mortgage. 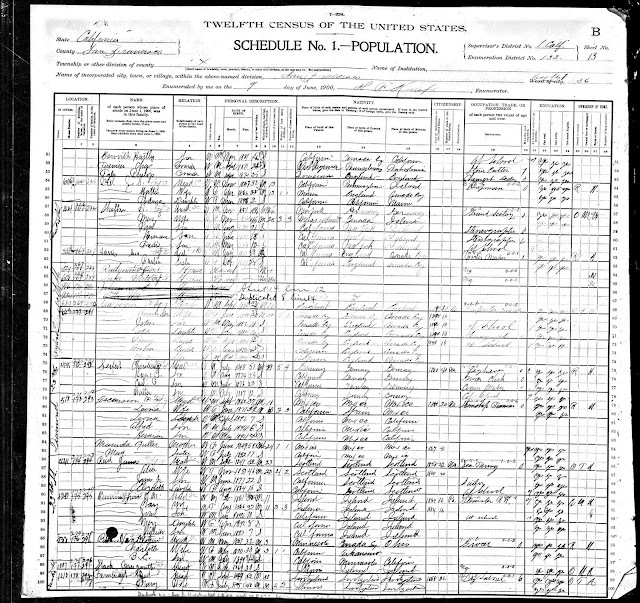 1900 United States Federal Census, Population Schedule, San Francisco County, California, San Francisco city; ED 132, Sheet 13B, Lines 57-61, H. Shaftner household; online database, Ancestry.com (http://www.ancestry.com), citing National Archives Microfilm Publication T623, Roll 103. The head of household in this family is Herman Schaffner, not "Shaftner." Herman and Mary Ann (Paul) Schaffner are my wife's great-grandparents, through their eldest son, Paul Schaffner (1878-1934), who married Edna McKnew in 1906.